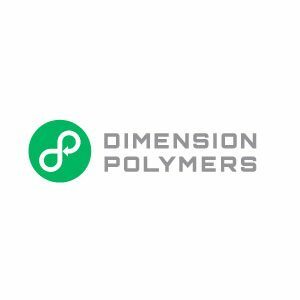 Dimension Polymers was founded in 2014 by Mark Sherman and Gerald Galazin. Mark and Gerald’s goal was to develop the first commercially produced, engineering-grade 3D printing filament made from recycled plastic.The success of this endeavor relied on overcoming the challenge to produce a filament comparable in quality and consistency to name brand filaments made from virgin plastic. To accomplish this, a consistent waste material must be sourced, contaminants and impurities removed, and physical properties adjusted.Through the use of proprietary technology and collaboration with plastic industry professionals, Dimension Polymers has succeeded in developing a high-quality ABS filament that meets the strict material property and consistency standards essential for high quality 3D printing. Our blending, processing, and quality control testing ensure every inch filament meets a strict set of standards and is verified by an A2LA accredited laboratory.As the world continues to increase its use of 3D printing materials, our mission is to help users reduce their environmental footprint.Dimension Polymers is headquartered in Chicago, Illinois.